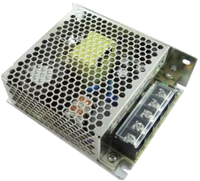 The PSPSD-50 series of AC/DC switching power supplies provides up to 53.8 Watts of output power in a 3.90” x 3.23” x 1.38” enclosed case. This series consists of single output models ranging from 5VDC to 48VDC with an input voltage range of 90~264VAC (127~370VDC). 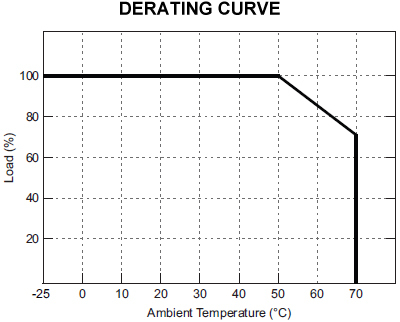 Standard features include high efficiency up to 89%, 3000VAC I/O isolation, and a -25°C to +70°C operating temperature range. 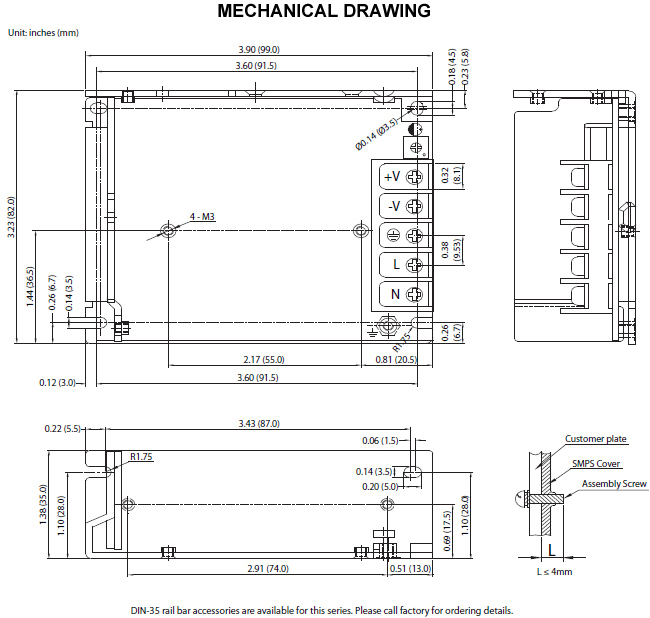 This series also has short circuit, over load, and over voltage protection. All models are RoHS compliant and have UL60950-1 (2nd edition), IEC60950-1:2005 (2nd edition), and EN60950-1:2006 safety approvals. Notes: 1. Ripple & noise is measured at 20MHz limited bandwidth and using a 12" twisted pair-wire terminated with a 0.1µF & 10µF capacitors in parallel. 2. The power supply is considered a component which will be installed into final equipment. The final equipment must be re- confirmed that it still meets EMC directives. 3. DIN-35 rail bar accessories are available for this series. Please call factory for ordering details.